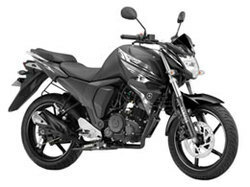 Leading Exporter of yamaha fazer 25, yamaha fz-fi, yamaha r-15, yamaha yzf version 3, yamaha fz25 and yamaha fzs fi - 150cc from Mumbai. Weekends are few. And the tales waiting to be told are many. Only those with a touring spirit and a heightened aggression to conquer the terrain can explore them all. 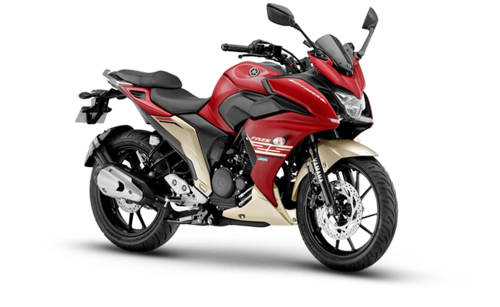 Presenting the all-new aggressive tourer Fazer25. With touring in its heart and fire in its soul, here is a perfect tourer for those weekend missions you put on snooze. Tires that are hungry for asphalt, power that craves for distances, muscle that loves to fight the rough, and agility that is always ready to embrace the surprises planned by the zig zag roads. That's Fazer25. Offering perfect balance between Yamaha's true blue aggressive super sports and the practical naked roadsters, the all-new 250cc Fazer25 is the true weekend explorer. 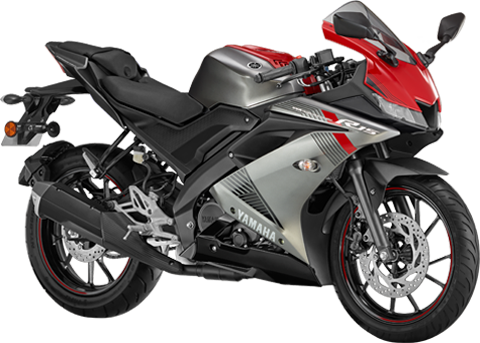 ‘Technology Meets Performance’, Yamaha – R15 is a perfect example of harmony between rider and machine. It is equipped with cowl which is based on the image of a diffuser that gives the best form for aero management. These cowls controls the airflow by forming composed blade surface. 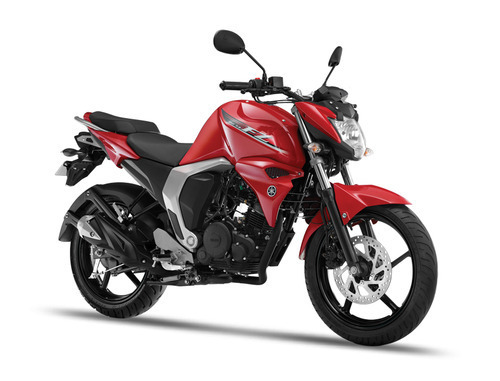 R15 comes with a wide frontal space that protects the rider, an easy seating area that gives rider the freedom of movement and allows them to steer effectively. The tail treatment takes in to account the management of airflow behind the rider and a sensual racing form brings all 3 of these elements together in one package. umachine Technologies & Sensual Racing Form Big just got bigger and better. 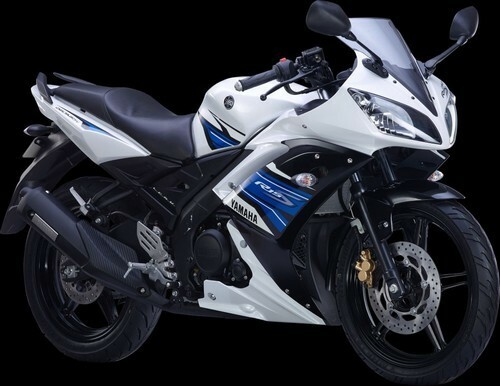 Borrowing its ferocious look and aggression from its elder track sibling R1, the all-new R15 is max powerhouse of 19.3 PS that brings track experience to the streets. At its heart is the all new Yamaha Fuel Injection(FI) engine. It uses advanced sensors and actuators to calculate and deliver the optimum amount of fuel to the engine – enhancing both performance and mileage. The design realizes the "Real Boy''s Scooter" concept by balancing the deeply-sculpted and powerful front mask, effortlessly-layered straight lines, and tail surround accentuated with a sense of speed. 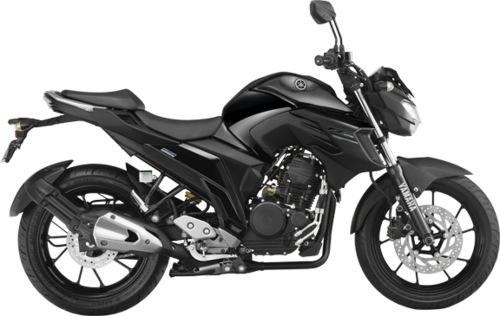 The Cygnus Ray-ZR is powered by an air-cooled 4-stroke, SOHC, 2-valve 113cc "BLUE CORE" engine with a continuously variable transmission (CVT) unit. It features a lightweight body (103 kg) with glamorous design and offers user-friendliness. The main features also include, An engine with high combustion efficiency to offer among the best fuel efficiency in its class at 66 km/L* (*under standard test conditions), Plenty of storage space (21 litres under seat storage), Newly designed instrument cluster with excellent readability, even at night and Tubeless tyres. Ray-ZR was developed around the concept of a "Next-Generation Real Boy''s Scooter". The new model actively adopts the latest trends among young people. 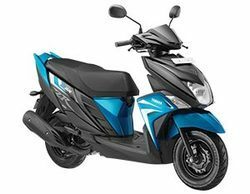 It takes on a new exterior design characterized by a sense of dynamism and layered forms that gives a fresh look like no other scooter before and expresses the strength of a well-trained physique.